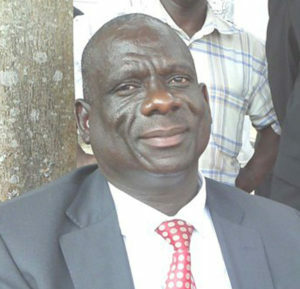 Michael Mawanda has been declared winner of Igara East MP seat. File photo. Michael Mawanda, an independent candidate, has been declared Igara East MP. Mawanda polled 16,209 votes while his closest challenger Andrew Martial garnered 12,991 votes. Benjamin Katana emerged third with 1,477 votes and was followed by Christine Ninsiima Bekunika of the Forum for Democratic Change (FDC) who got 497 votes. Other candidates in the race were Bedads Kananura (Independent) who got 480 votes while David Armstrong got a paltry 76. The Igara East by-election followed a court ruling in October that ejected Martial from the 10th Parliament. Martial polled 15,983 votes in last year’s general election, beating Mawanda who was the incumbent MP by about 800 votes. Mawanda garnered 15,091 votes. Unsatisfied with the outcome, Mawanda took the matter to court citing electoral malpractices, including creation of non-gazetted polling stations, ballot stuffing, intimidation, defamation by agents of his opponent and bribery, among others. Mawanda claimed the irregularities grossly influenced the outcome of the polling exercise. The decision to throw out Martial from Parliament was reached by judges Egoda Ntende, Richard Buteera and the new deputy chief justice Owiny Odolo. The ruling party has so far won 11 of the 14 by-election with the three going to independents.